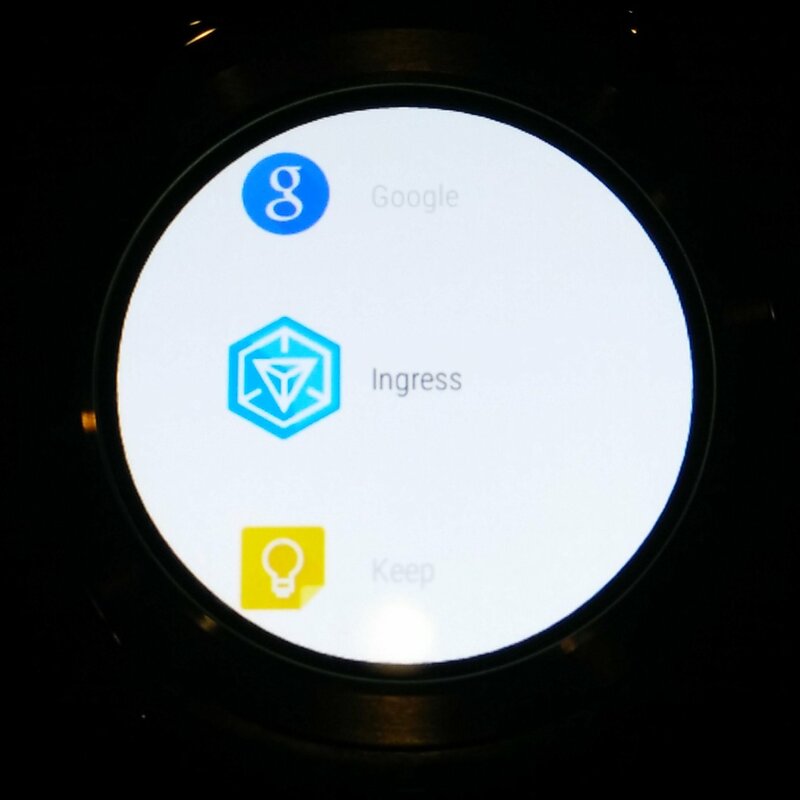 In February of this year, Google said that Ingress would soon work on Android Wear. It provided this preview image, which provides a rundown of what functionality to expect. The thing is, soon doesn't always mean what you think it does. Here we are in mid-July, and now we're just getting our hands on the functionality. 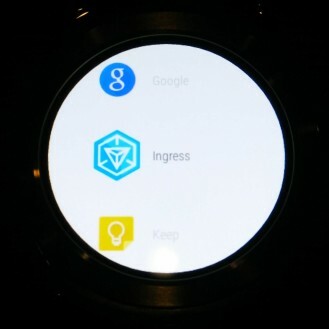 In version 1.81 of the Ingress Android app, you can keep track of the current state of the enlightened versus the resistance conflict from your Wear device. 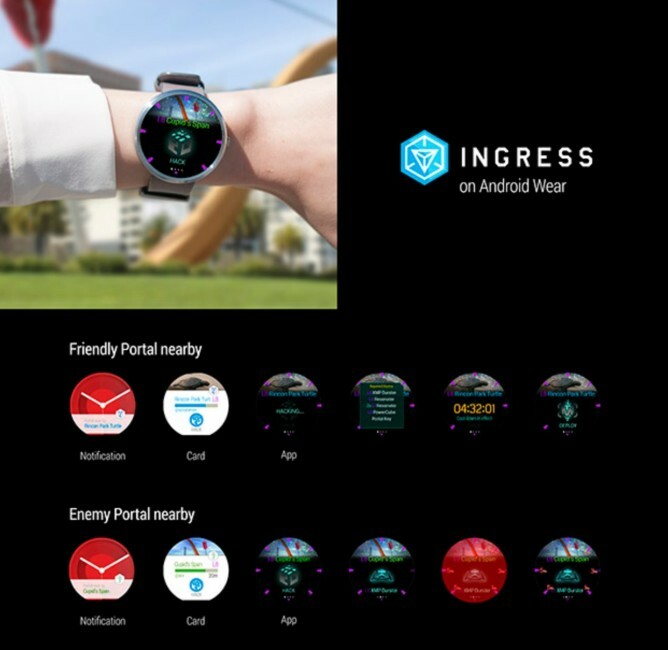 The Wear app notifies you when portals are in range and whether they're under attack. 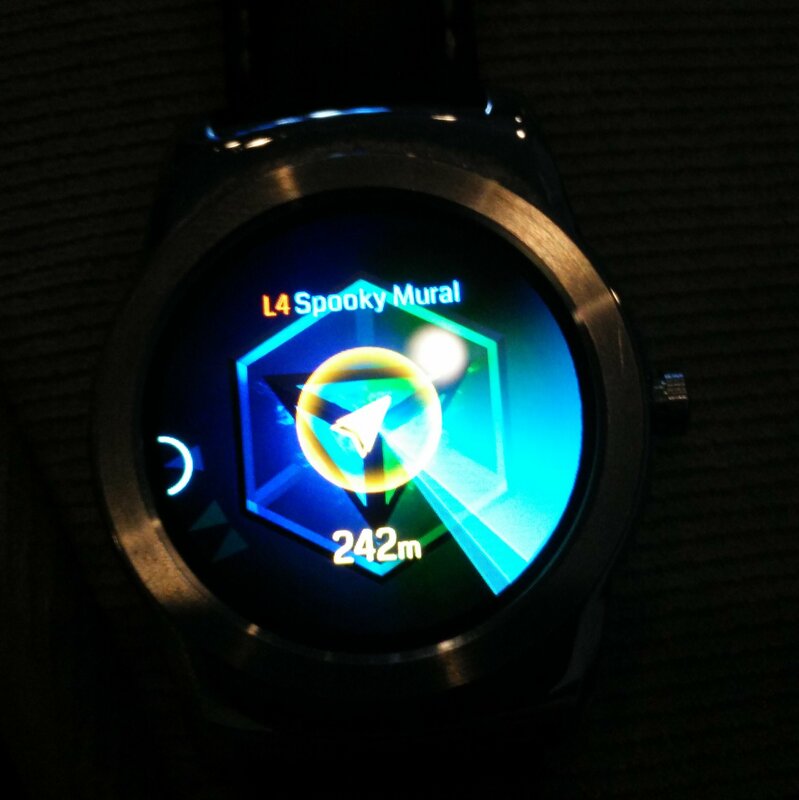 Keeping tabs on this information from your wrist might be less awkward than staring at your phone, but probably not. Expect the person who's asking why you're standing in the middle of an abandoned basketball lot to also want to know what that thing on your wrist is and why it's pulsing. 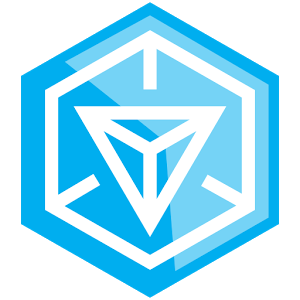 You can find the latest version of Ingress over on APK Mirror.